Bow down and worship your king of hell! This set features our once lowly crossroads demon who rose to the top to claim the thrown. Our King smells of fires, brimstone, smoke, and of course cinnamon. Even our King likes a little pop! 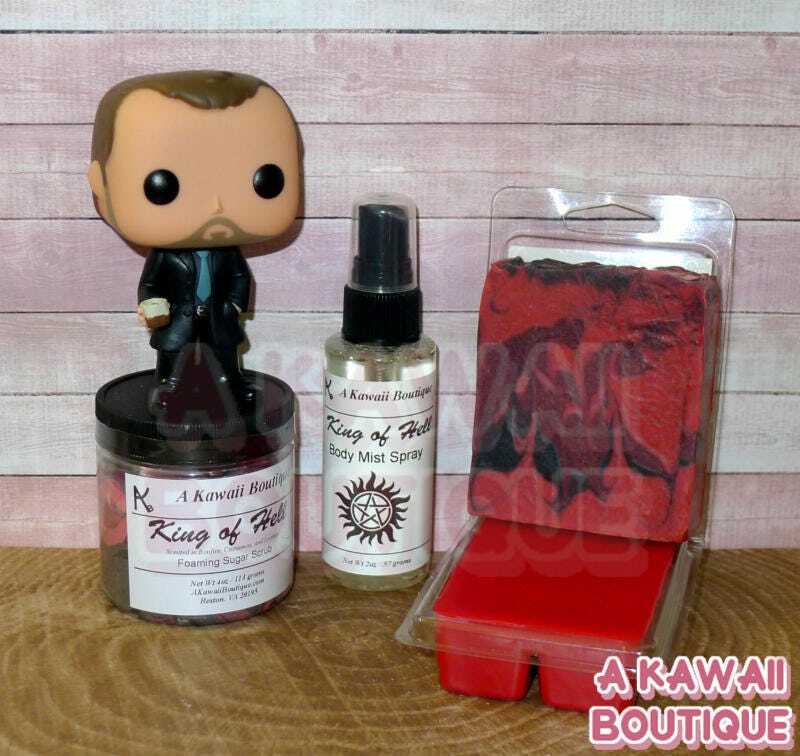 Now featuring all of your favorite King of Hell products! This set is perfect for any fan of our favorite stubborn, but resilient King of Hell. 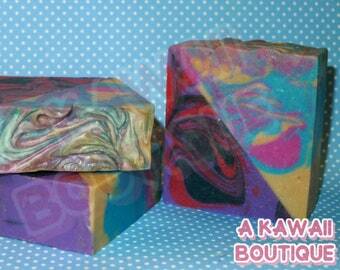 Soap: One (1) handcrafted five (5) ounce King of Hell soap. Made with skin loving oils such as Coconut Oil, Sweet Almond Oil, Palm Oil, and Olive Oil. I personally can't go back to store bought bars after using this! Foaming Sugar Scrub: One (1) four (4) ounce sugar scrub. This is both an exfoliate and a soap in one! Great for removing dead skin, or just having a nice relaxing clean feeling. Body Mist Spray: One (1) two (2) ounce Spray. Perfect to put on before going out and about. A wonderfully moisturizing and alcohol free spray that you can use on your skin or hair! Wax Melt: One (1) clamshell. Set the mood with these wonderfully scented wax melts. It comes with one clamshell, which has six cubes for amazing scent! I can't even begin to describe my happiness. Due to unforeseen circumstances my order was late in arriving, and I waited to review until I'd used most of the products. The sugar scrub was already a favorite, but the wax melts and body spray have quickly become similar. 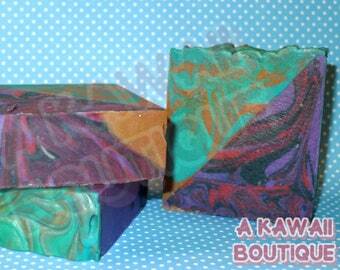 The soap is also stunning, but isn't quite used daily. My only lament is that the body spray and wax melts are only available in the bundle. I'm already over half way done with the spray, it gets sprayed into the sleeves of my shirts most days, as the scent is comforting and helps with my anxiety/when I am overwhelmed. I spray it where I can easily lean into the scent and it lasts through working around fryers all day well into the evening after I'm home. Great item and smells amazing. Looooooveeee these products!! Absolutely amazing! The whole experience was absolutely fabulous and I love the shop owner! Actually, I did a whole video on my YouTube channel, JuicyLaRea ! Would most definitely buy again!! !